Definition at line 187 of file wined3d_private.h. Definition at line 192 of file wined3d_private.h. Referenced by find_ps_compile_args(), find_vs_compile_args(), gen_ffp_frag_op(), set_glsl_shader_program(), and wined3d_ffp_get_vs_settings(). Definition at line 190 of file wined3d_private.h. Referenced by draw_primitive_immediate_mode(), and wined3d_adapter_init_ffp_attrib_ops(). Definition at line 193 of file wined3d_private.h. Referenced by context_update_stream_info(), draw_primitive_immediate_mode(), and wined3d_stream_info_from_declaration(). Definition at line 189 of file wined3d_private.h. Referenced by context_map_fixed_function_samplers(), draw_primitive_immediate_mode(), find_arb_pshader(), find_arb_vs_compile_args(), gen_ffp_frag_op(), prune_invalid_states(), set_tex_op_atifs(), shader_arb_alloc(), shader_arb_load_constants_internal(), shader_set_function(), stateblock_init(), stateblock_init_contained_states(), wined3d_cs_exec_set_texture(), wined3d_device_get_ps_consts_f(), wined3d_device_get_vs_consts_f(), wined3d_device_set_ps_consts_f(), wined3d_device_set_texture_stage_state(), wined3d_device_set_vs_consts_f(), wined3d_ffp_get_vs_settings(), and wined3d_state_enable_light(). Definition at line 195 of file wined3d_private.h. Referenced by wined3d_texture_load(), and wined3d_texture_prepare_texture(). Definition at line 199 of file wined3d_private.h. Definition at line 197 of file wined3d_private.h. Definition at line 196 of file wined3d_private.h. Definition at line 194 of file wined3d_private.h. Referenced by find_arb_ps_compile_args(), find_arb_pshader(), find_arb_vs_compile_args(), and gen_ffp_frag_op(). Definition at line 198 of file wined3d_private.h. Referenced by create_dummy_textures(), and init_format_depth_bias_scale(). Definition at line 191 of file wined3d_private.h. 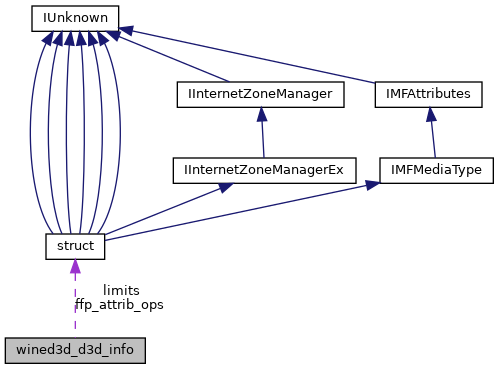 Referenced by context_update_stream_info(), and wined3d_adapter_init_ffp_attrib_ops().